It appears that President Trump did not wish his youngest daughter a happy birthday. Tiffany Trump turned 24 on Friday, but she wasn't wished a happy birthday from Donald, Melania or Ivanka Trump on social media -- despite her family's regular use of Twitter as a platform they often take to for sharing intimate family moments. 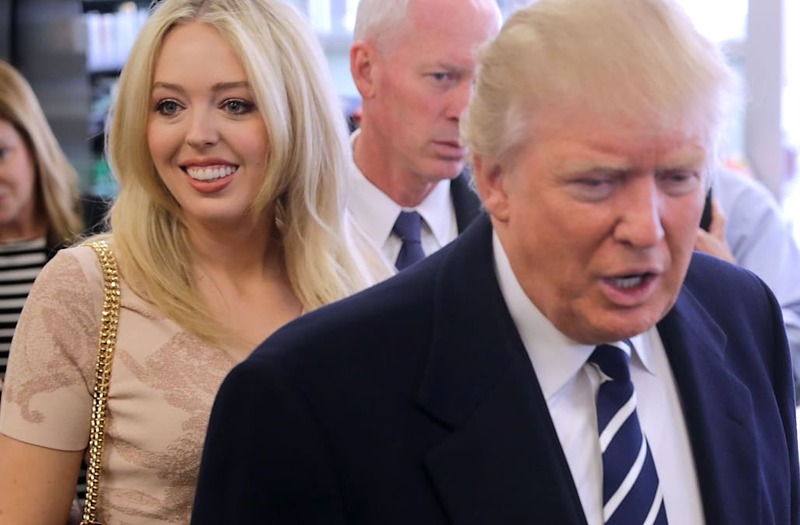 As the only child of the president's from his marriage with his second wife, Marla Maples, Tiffany Trump was raised in California by her mother, separately from her half-siblings and father. It is unclear how close the Georgetown University law student is with her siblings -- or the president's first and third wives, Ivana and Melania Trump. But she did send her father a happy birthday message on Instagram in June. While it's possible the first daughter may have received a birthday wish from her father via a more personal avenue, Trump has publicly sent birthday messages to Melania, Ivanka and Donald Trump Jr. since moving into the White House, according to Newsweek. The president has even sent different sections of the military well wishes when their birthdays rolled around, including the Navy on Friday -- the same day as his daughter's birthday, Oct. 13.